The unfolding historical research project to find the lost grave and legacy of England's remarkable "Lord Keeper" of the 1600s English Civil War : Sir Richard Lane! Tip : “Subscribe” below to receive new articles as they are published! 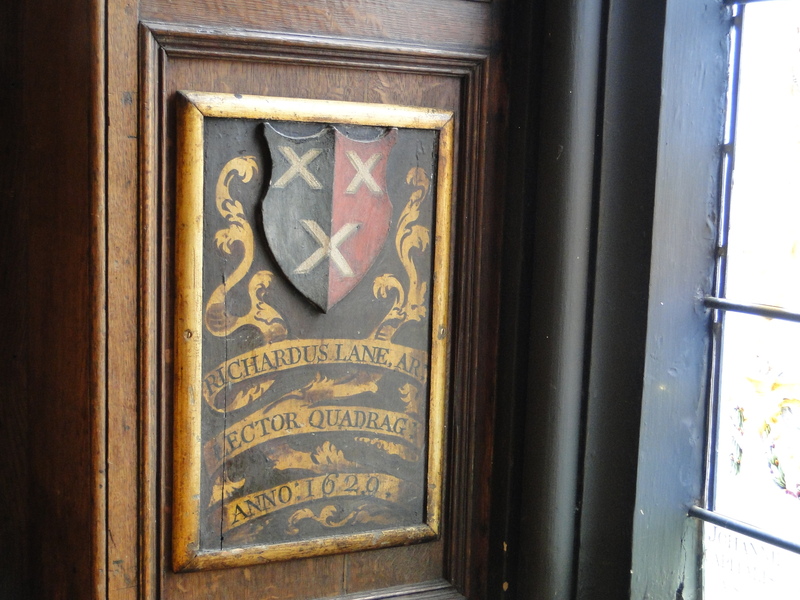 Richard Lane’s Armorial glass in the windows of Middle Temple Hall. This is different than his Readership armorial panel on the walls below – it was the updated with the Lion by Charles II. The word “miles” means he was a Knight. The marker in the middle of the street where the Temple Bar originally stood. Jean Chevalier’s diary, as displayed in the Jersey Museum, Saint Helier. The Book : "Lane's Reports"
5280 Explorer Powered by WordPress.com.